The First Look Of LG Gram 17 inch Version Leaked! 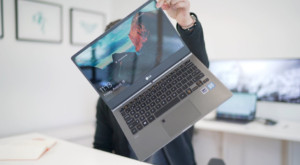 LG is working on its ultralight Gram series after the lineup offers of three models; Gram 13.3″, 14″ and 15.6″. 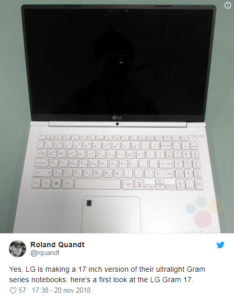 Roland Quandt; the well-known tech leaker shared the first look of LG Gram 17 inch version on twitter yesterday. LG Gram series is well known for thinnest and lightest laptops in the market. 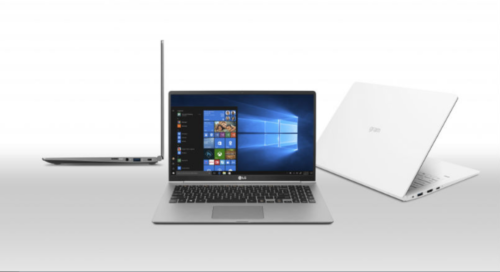 In fact, LG has been competing with Apple when it comes to the thin and light laptops. 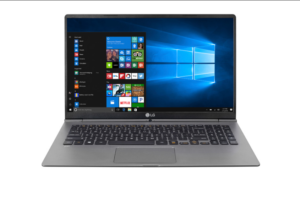 Previously LG came up with a 14inch version which is powered by Intel Core i5 6th gen processor and 4GB/8GB RAM+ 128/256 GB storage. It weighs only 980 grams, measures 323.9×225.4×13.4mm, and runs on Windows 10. There is a 34.61Whr battery on board which promises to provide 7.5 hours of activity without the need for charging. It is protected by a magnesium and magnesium alloy body which makes it lightweight. LG Gram 13 inch version is the slimmest of all the three laptops. It weighs only 911 grams because of carbon and magnesium alloy body. Not only it is the lightest but also it is one of the affordable among its alternatives. It comes with 2.5GHz Intel Core i5-7200U processor, 8GB RAM, and 256GB storage. Usually, all the premium 15-inch laptops weigh above 2Kg but not the LG Gram 15.6 inch version. Gram 15 weighs about 1.1Kg. It is a full package with lightweight, larger display, and amazing battery life. It comes with an Intel Core i7-8550U processor, 16GB of memory and 512GB. The upcoming LG Gram 17 inch version is also expected to have such amazing features despite a larger display. It will be more challenging for LG because it belongs to the Gram series which is well known for light weight and long battery life. For the Latest Tech News & Updates follow us on Facebook, Twitter, Instagram, and Youtube.